Head of the Department: Shevchenko Olga Stanislavna – MD, Prof.
Responsibility: for the educational and methodical work – Assistant Pogorelova O.O. ; for scientific work – MD, Associate Professor Butov D.O. ; for clinical work - PhD, Assoc. 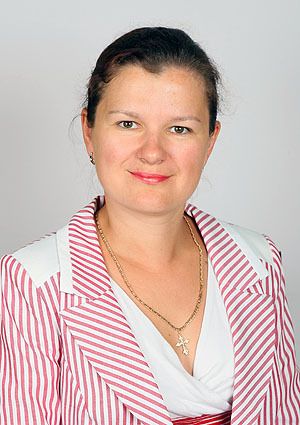 Prof. Matveeva S.L. ; for educational work - PhD, Assistant Choporova O.I. ; for student’s scientific work - PhD, Assistant Choporova O.I. 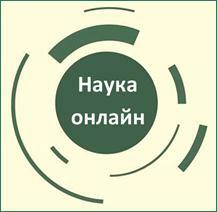 ; department trade-union - PhD, Assistant Stepanenko H.L. ; laboratorian Tulyankina G.S. The Department conducts training and teaching work at the bases of the 5 depatments of Regional TB Dispensary # 1 (including outhospital one), Regional TB Hospital #1. Educational work of the department is to prepare students of 4th and 6th courses of medical faculties, specialty "Medicine" and students of 4th course of dental faculty, specialty "Dentistry", in discipline "Phthisiology." To prepare for the test license examination "STEP-2" students are training with bases of tuberculosis tests from the past 5 years. The department organized a training course of choice "Current problems of pulmonology" for the 5th year students specializing in "Medicine" and course of "Phthysiology with evaluation of research results" for bachelors in specialty "Laboratory diagnosis". Within the system of postgraduate education there is training for interns in discipline "Phthysiology" and for applicants of higher education and the Ph.D, doctorate. For improving of lectures and familiarizing of students with global developments in the fight against tuberculosis, lectures are constantly updated according to the modern achievements in phthisiology. Teachers of department pay great attention to improving the teaching and educational work with English-speaking students. To attract students to discuss topics of practical lessons and disclosure of student creativity case-study method is actively used. X-ray pictures, tomograms, CT-scans are added to educational process. To consolidate the theoretical knowledge and practical skills, students fill workbooks developed by the department for each subject-specific teaching faculties, watch demos, case histories. Methodical recomendations are used during practices. These teaching development, as well as many other educational materials, are available for on-line viewing in repository of library KhNMU. The students during their studies at the department phthisiology and pulmonology are actively involved in student's scientific workmaking abstract reports on selected topics in class, preparing and serving abstracts during scientific conferences. Every year students of all faculties take an active part in TB Day (24 March). Students of 4th course participate in Olympiad of tuberculosis. Department continues to study mechanisms and identification markers of favorable and unfavorable course of TB pathogenesis, efficiency of pathogenetic treatmentб genetic and immunological features of recurrence of the disease. The research of the department (2016-2018) is "Prognosis of pulmonary tuberculosis by examining the efficacy of various chemotherapy regimens." Department obtained 8 patents, 53 acts of implementation. Department runs 2 doctoral and 3 PhD dissertations. Department has published English textbook "syndromic diagnosis of lung diseases" (2013), a booklet of tests licensing examination "STEP-2 "(2013) Ukrainian, Russian and English. Department staff participated in the preparation of training materials for the production of a national textbook "Phthysiology" (2015) in Ukrainian, Russian and English. Department participates in conferences, conventions and congresses. Published scientific materials contain studies performed to date of tuberculosis and meet modern achievement methods of diagnosis and treatment of pulmonary tuberculosis. Department signed a contract with the State Institution "National Institute of tuberculosis and pulmonology named after FG Yanovsky" regional TB dispensary № 4, Izyum regional TB dispensary №3, Zmiiv. Clinical work is carried out in 5 departments of Regional TB Dispensary # 1 (every year the department staff consult and treat about 6,000 patients with a wide variety of lesions of internal organs). Department takes part in clinical conferences, pathological analysis, days of specialist. Department developed new treatment technologies, including ozone pathogenetic treatment and laser therapy in patients with firstly diagnosed destructive pulmonary tuberculosis. The results of studies were designed and carried along to the practice guidelines for diagnostic and therapeutic tactics during the development of toxic hepatitis through the integrated application of L-arginine L-glutamate with magnetic-laser-therapy in projection of liver. We have completed clinical and experimental work on the use of quercetin polyvinylpyrrolidone in the treatment of patients with first diagnosed destructive pulmonary tuberculosis. Recently, the Department is engaged in study of mechanisms and markers of favorable and unfavorable course of TB based on study of structural changes of the thyroid gland and thyroid status of patients with pulmonary tuberculosis. More than 50% of patients with pulmonary tuberculosis present structural and functional changes of the thyroid gland. In these patients, there are decreased thyroxine levels and increased thyroid hormone. We developed the system of scoring of severity of tuberculosis. More severe firstly diagnosed destructive pulmonary tuberculosis is demonstrated in patients with thyroid disorders. We investigated marker of favorable and unfavorable course of pulmonary tuberculosis, recommended screening of thyroid status of patients with severe firstly diagnosed destructive pulmonary tuberculosis. 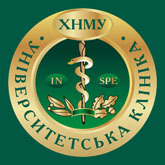 In Kharkov Medical Institute tuberculosis department was established in March 1923 at the Kharkiv Institute of clinical tuberculosis. Before organization of department there was course of TB at department of faculty therapy. The first head of the department and director of the institute was Professor Faynshmidt I.I. 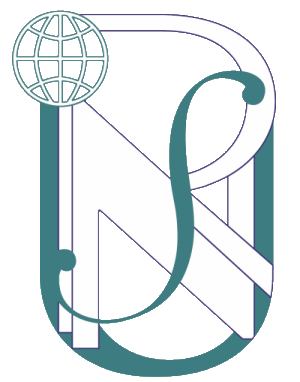 (1923-1931). From 1931 to 1956 the department was headed by Professor B.M. Khmelnytskyi. Being director of TN institute and head of TB department of Medical institute B.M. Khmelnitsky conducted extensive work on research training. During this period doctoral dissertations of B.Z. Bunin, L.T. Mala, E.B. Meve, E.L. Melnikova, A.E. Rabuhyna, Y.D. Shulga and PhD dissertations of V.I. Zhytna and Z.M. Orlova were created. At this time, developed the problem of mixed infection with tuberculosis, pulmonary tuberculosis and kolapsotherapy and surgical treatment of TB. From 1958 to 1970 head of the department was associate professor A.D. Korneev. Department staff carried out research on the pathogenesis of tuberculosis, treatment, criteria of its activity and small primary TB. From 1970 to 1996 department was headed by Associate Professor S.M. Roslyk. The department carried out work in three main areas: epidemiology and organizational forms of TB control; study of the clinical features and differential diagnosis; improve the efficiency of treatment. Since 1998, TB department was reorganized into the Department of phthisiology and pulmonology, headed by MD, Professor S.I. Zaitseva. The department developed actual problems of modern phthisiology and pulmonology, namely the question of efficiency of treatment, ozone therapy, laser therapy, methods of application of modern hepatoprotectors, organ-saving treatments. There was performedthe development of new methods of diagnosis and differential diagnosis, for which department received two patents. Department patented 4 inventions, published 30 guidelines for interns and students, published 76 papers, a textbook for students "Phthysiology" in Ukrainian and Russian (2004). Since 2010, head of the department is MD, Professor O.S. Shevchenko.